Classic Twin utilizes 21st century technology to provide simple installation, easy starting with no kick back and superior running. Many years of experience with classic motorcycles and extensive development has resulted in this high precision, zero maintenance, compact and reliable system. NEW PRODUCT! 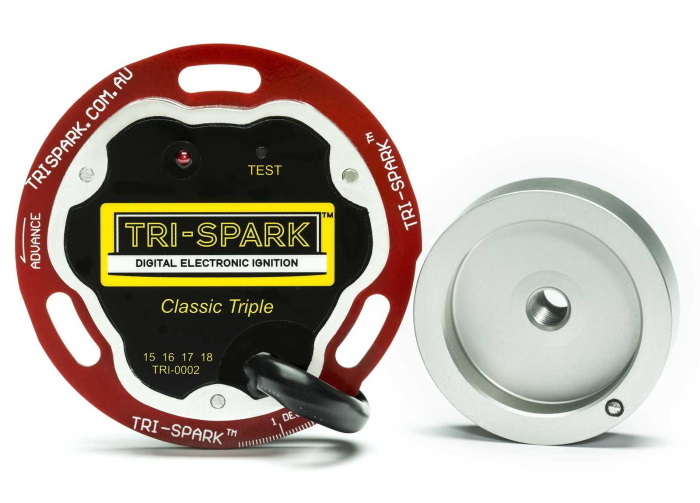 The Classic Triple has all the ignition performance you need for your Trident or Rocket 3 - WITHOUT THE BLACK BOX OF OUR OLD #338-01 TRIPLE KIT. 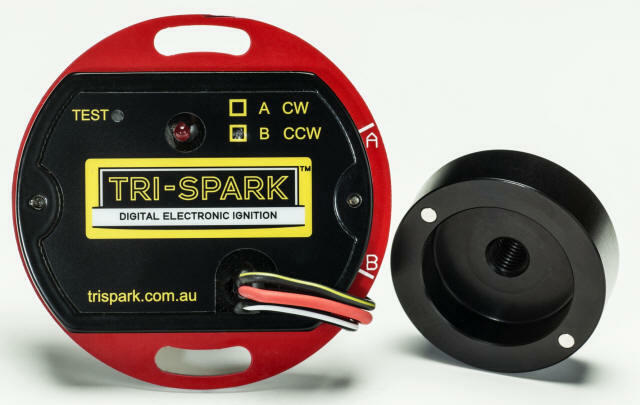 Advances in technology have enabled Tri-Spark to build a high performance sequential firing system in this compact design with only five wire connections. This high precision system with built in self test button is tailored exclusively for the Triumph Trident, BSA Rocket Three, T160 and Hurricane machines. Easy starting and a smooth idle are retained from the original triple system (#338-01). 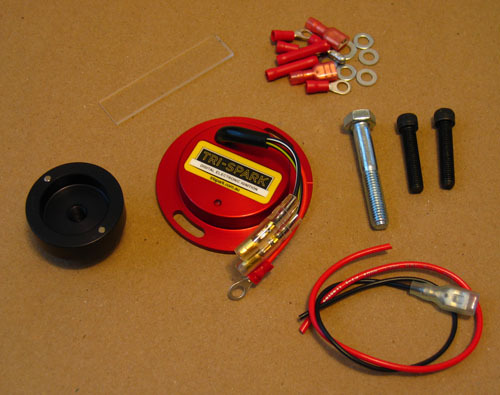 Compatible with 12 volt coils (6 volt coils if a ballast resistor is fitted).